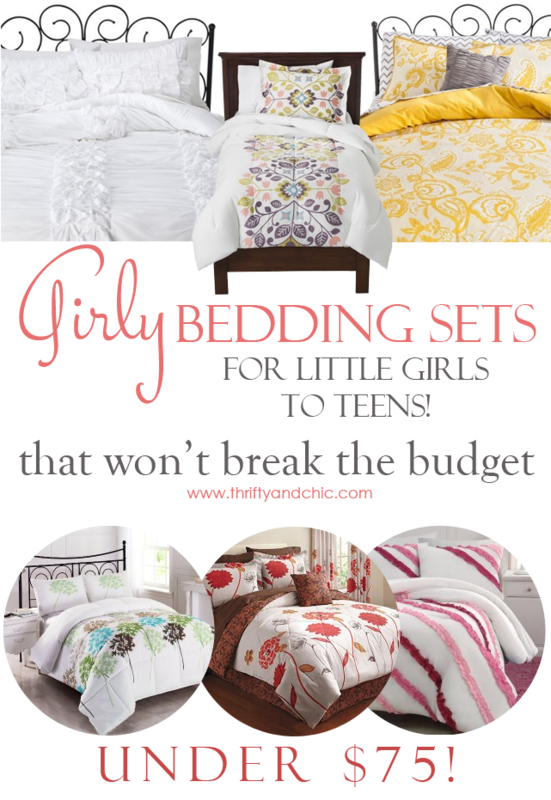 Toddler to Teen Girl Bedding Sets That Won't Break The Budget...And Aren't Themed! Disclosure of Material Connection: Some of the links in the post are “affiliate links.” This means if you click on the link and purchase the item, I will receive an affiliate commission. Regardless, I only recommend products or services I use personally and believe will add value to my readers. I am disclosing this in accordance with the Federal Trade Commission’s 16 CFR, Part 255: “Guides Concerning the Use of Endorsements and Testimonials in Advertising." When clicking publish, all of these were available and the twin sizes were under $75. Marley Ruffle 5 Piece Comforter Set - White $69.99. Comes in Blue also for a little bit more. These are all great and I love the patterns and colors. Perfect for any bedroom.